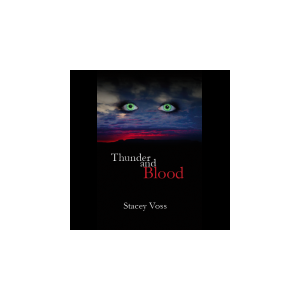 Stacey Voss was born and raised in Thunder Bay, Ontario, Canada. She wrote Thunder and Blood while living with her family in Wuppertal, Germany. The story takes place in her hometown of Thunder Bay, reflecting Stacey's yearning to feel close to her roots once again. At the end of 2008, she and her husband (along with her eleven-year-old daughter and two cats) decided to move back to Thunder Bay permanently. START PROMOTING YOUR BOOKS TODAY: JOIN NOW! * 14 day FREE trial. No credit card required.